My name is Mollie and Ive worked as a Make-Up Artist for 4 years and am a Qualified Lash Technician. I have dedicated a lot of time to working in the film industry in the past 2 years and Im looking to expand my beauty/event makeup porftolio in regards to problematic skin. 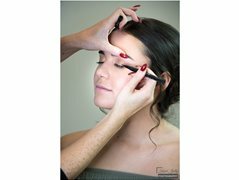 I am looking for young women of any ethnicity for a Full glam Make-Over and Lash extensions for some before and after shots for my website and social media. I'm based in West London and can pay travel expenses. Patch test will be required prior to make-over date.